Not long ago I moved to the east part of Toronto into a neighborhood pushing one hundred years old. While I recently spent time in an 800-year-old hotel in Siena, Italy, 100 years is old for Toronto. The houses are small, narrow and if not attached to each other, have just enough space between them to walk your bike. 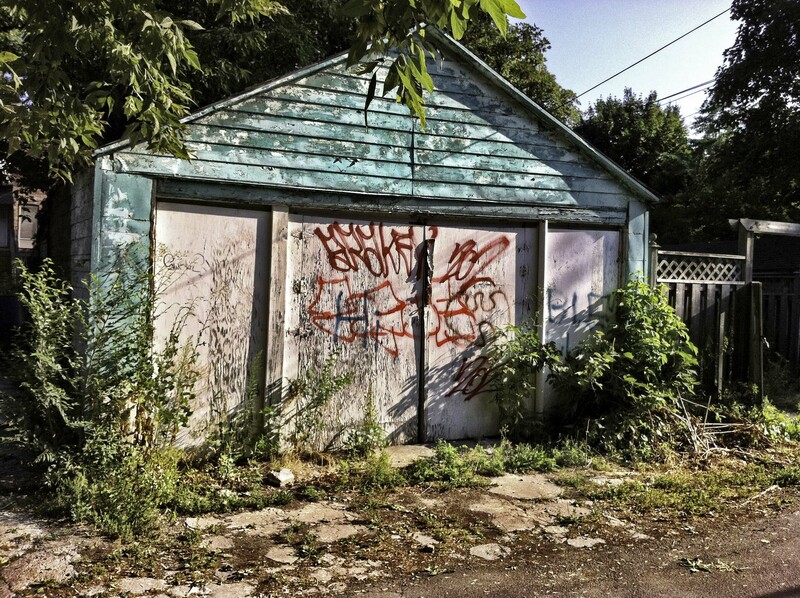 Unlike the suburbs and outer parts of the city, there are no garages, at least none on the street. For that, you have to go into the alleys. 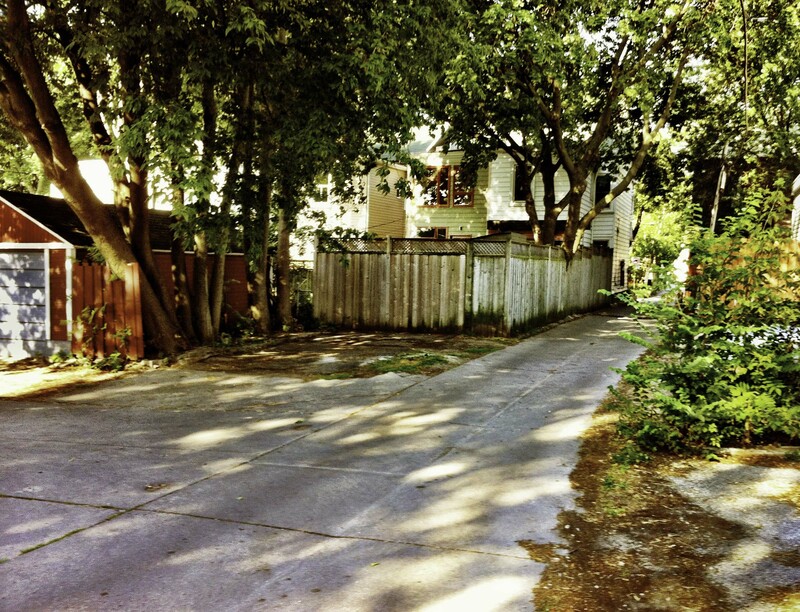 This summer I have been discovering the network of alleys that network behind the houses. They are like a separate network of roads, crossing each other and the main streets and providing a completely different view of the neighborhood. It’s like they are the opposite of the main streets. 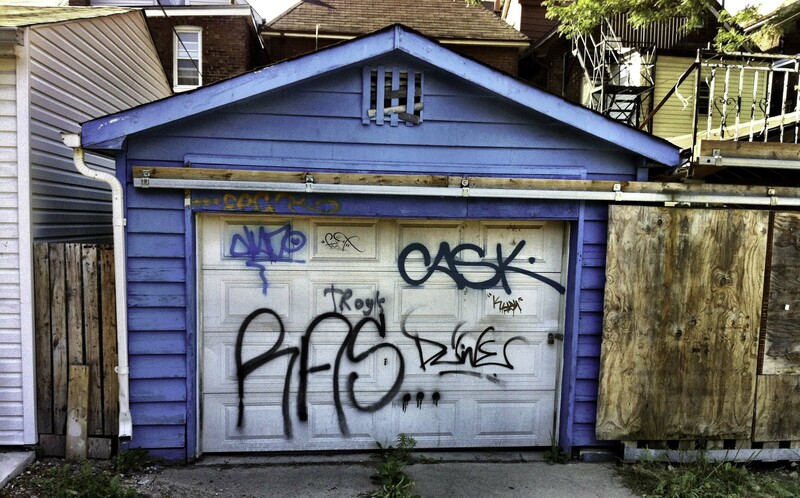 Instead of looking onto houses, you look onto garages. 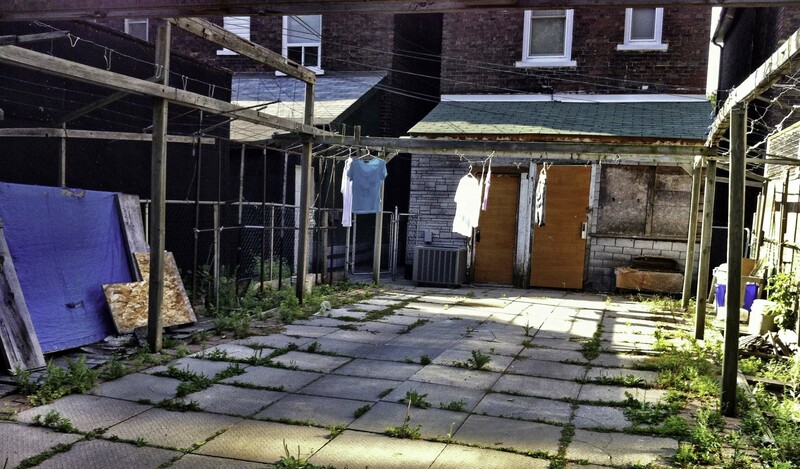 Neglected backyards in various states of confusion are in stark contrast to the neat and attractive front yards. You begin to wonder which image is a more accurate picture of the resident. Today, Molly the Doodle and I headed to Starbucks and decided to take the alley route. It gets us away from a lot of the construction we are getting this year on the main road and there is a little more shade. All I had was my IPhone4 and used Camera+ to grab a few shots on the way. I’m thinking of taking a day and just doing the alleys as a little project. As I walked the alleys, I was reminded of Venice, how the walkways were so much like alleys. Four-story buildings close you in and at night, the stores have steel doors that close up the walls even more, giving a very stark and foreboding feeling. 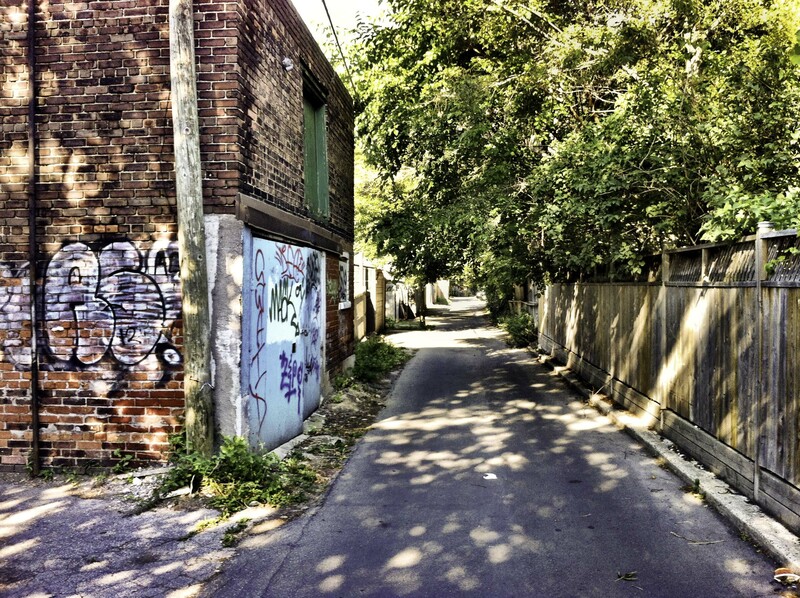 Perhaps I will do my alley photo shoot during the day. It’s a “lions, tigers and bears” thing. This entry was posted in Street Photography, Travel Photography and tagged Alley, outdoor photography, photography, street photography, Toronto, urban. Bookmark the permalink. Thank you. Not bad using my phone. I have this prejudice that comes from taking pictures since I was 10 years old that you have to have a good camera. Need to use my phone a little more.